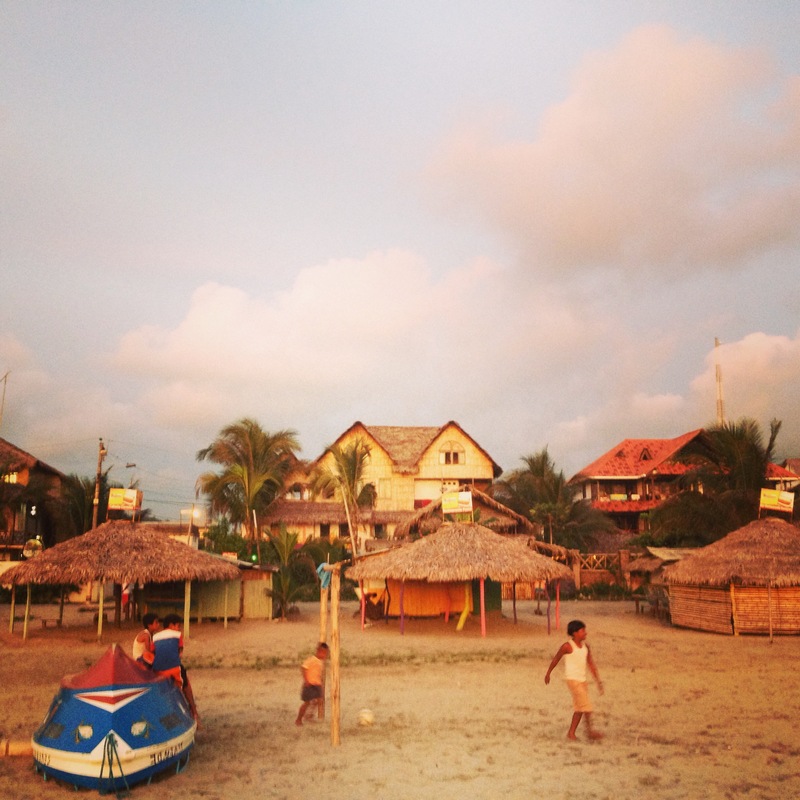 Canoa is a cute little fishing and surfing village on the Pacific coast. 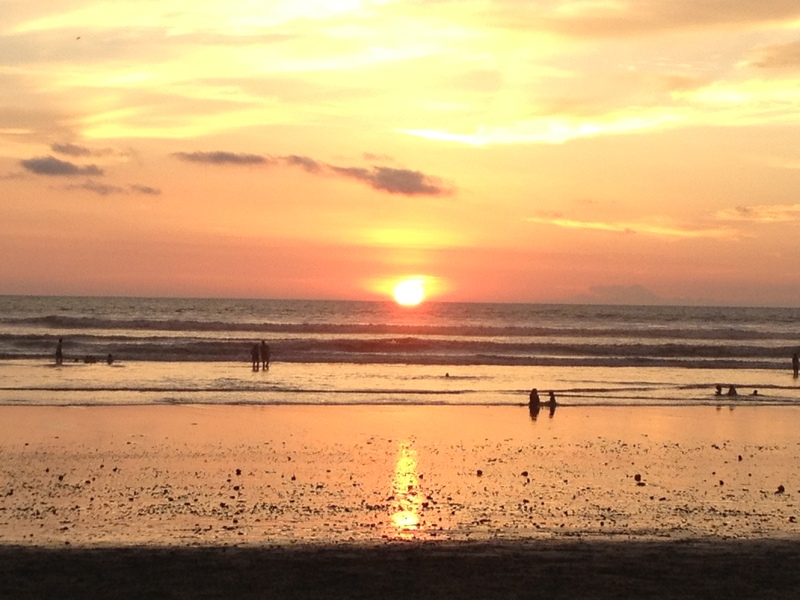 To get there from Quito, I took a Reina Del Camino night bus to arrive to the beach the next morning. The ticket cost $10 and the bus left the terminal close to La Mariscal at 10:45 pm. The road was supposed to take 8 hrs but instead it took 6 hrs and I found myself left alone with my backpack in a dark, rainy and sleeping beach town at 5 am. When I say rainy, I mean pouring! I walked on the beach back and forth a couple of times but nothing was open! Then in the darkness, my angel Lucas appeared at Hostal Coco Loco, who opened the door to the garden and gave me access to the dirtiest massage bed in the world to take a nap. Gladly, I was too tired to think why the sheet covering the bed had dark and smelly gasoline spots. After having snoozed for an hour or so, I was woken up by Lucas at 6:45 am to wait for the receptionist. After handing me to the receptionist successfully, mi angelo shook my hand and left for his next adventures to save lonely backpackers. He was definitely my hero! Canoa has got regular waves and the beach is fairly shallow so it´s a good place for bodyboards, wave jumping and learning surfing. The best part of the ocean for me was that it was warm, WARM! 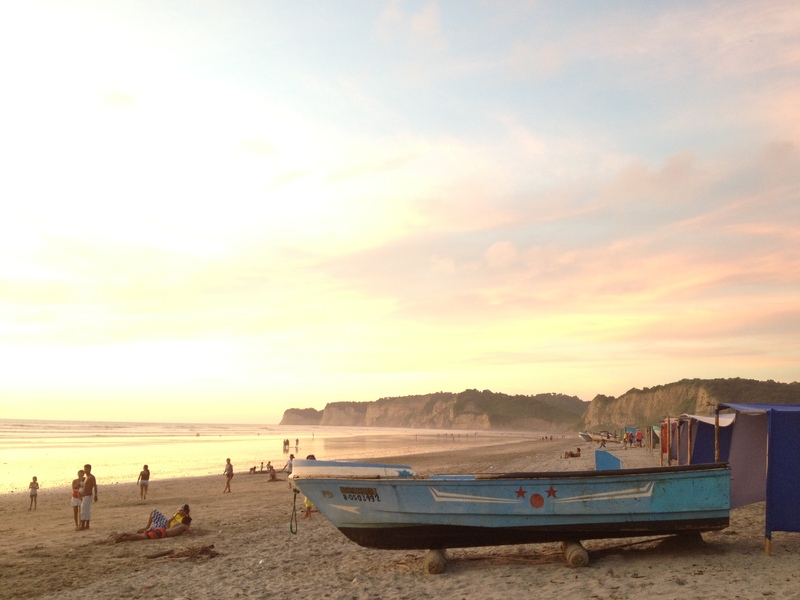 I stayed in Canoa a few nights and spent my days taking extensive Surf and yoga lessons from Patricia, a Texan expat who owns Betty Surf & Yoga . After a week, I managed to finally stand up on the surfboard for more than 3 secs woohoo! Many English speaking expats live in the area mainly from USA and Europe and own bars, hostels, restaurants, and surf schools. 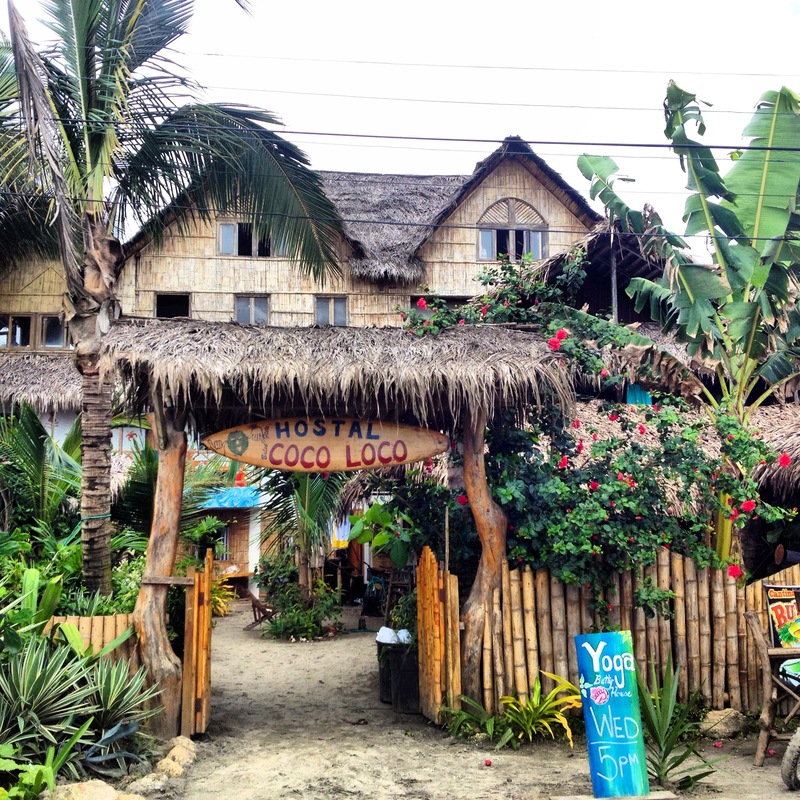 I stayed at Hostal Coco Loco who is owned by Elizabeth, an American expat who lived there with her adorable baby daughter. I came across several people who volunteered in the hostel and stayed for free. 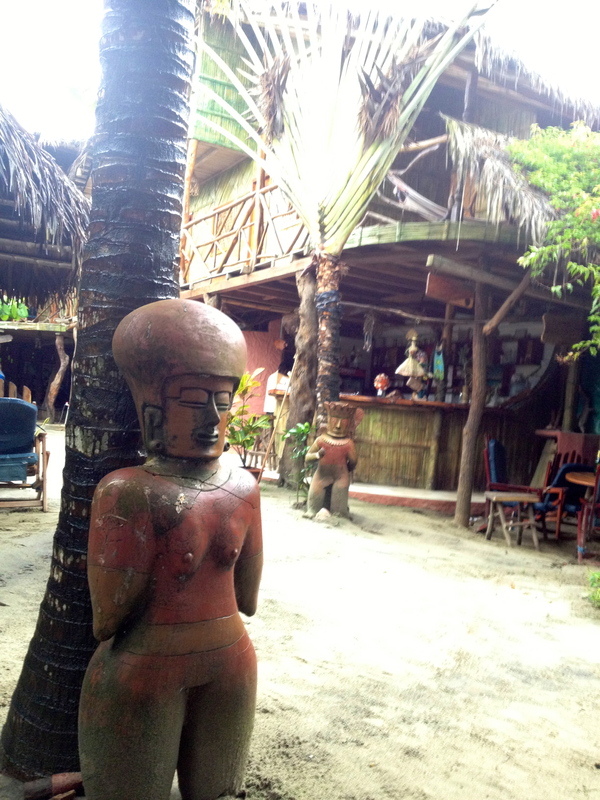 Canoa is another place where you go for a few days and can spend a few months easily. To skip another night(mare) bus that would get me to Quito in the wee hours of the day, I chose to take the day route so I can watch the panorama and people. Knowing that it would take me 3 buses and possibly the entire day, I manned up and got on the first bus of the trip on the main road in Canoa and the rest followed. It was actually a pleasant trip, with a ton of people getting on and off the bus, changing faces, landscape, and food vendors filling the buses every time we slowed down.